This is the last installment of the Superkart series.. many updated things..AI, damage and some new textures, also a few physics tweaks to make this even a little better than the older versions.. also new driver and Helmet.. In the Superkart update v3.1, i have fixed the bouncing issue with the A, and C karts...and also tweaked the lods in the gen file... when you unzip this, just drop it in your rFactor main folder, and click yes to overwrite... if it does not ask for the overwrite, you placed it in the wrong place...so backup, and try again...this update will cause a mismatch, until all servers and people install this update... pass the word to get the new update... Thank you. 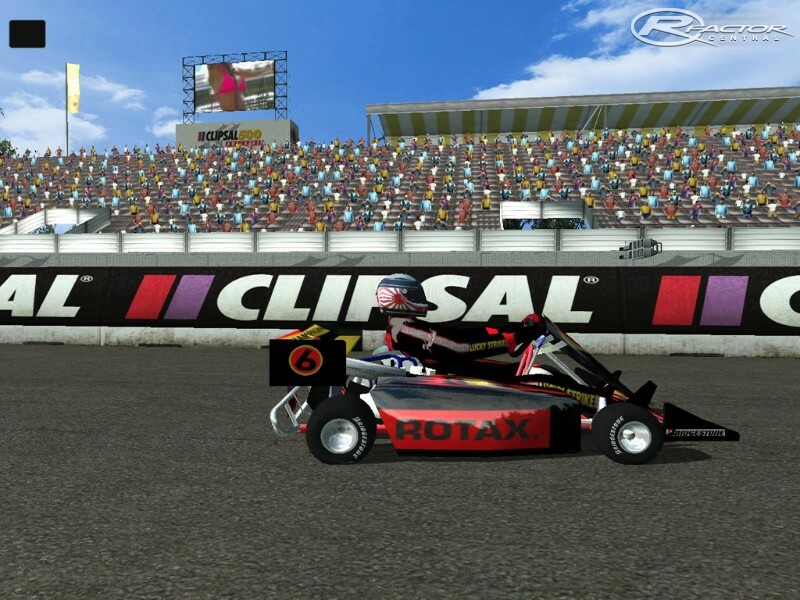 There are currently no car skins available for Superkart Challenge. If you are a painter you can share skins for this mod via the Car Skins area. Visit the Spray Booth for painting tips & tricks. Pokosta, try again, link updated. That link is no longer avaiable. Anyone who has an updated link for downloading? where can I get that indoor track in the screenshot? it's awesome!!!! This is the first mod I prefer to drive in rFactor instead of driving in reality! 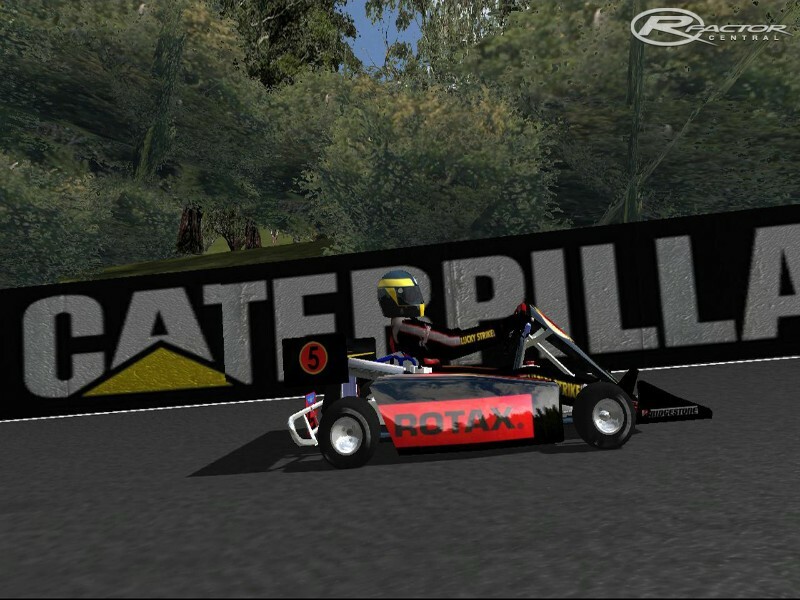 I think a Superkart going 240 kmh without a rollbar is a very dangerous thing to do! But thanks to Slimjim we have a very good alternative in rFactor. 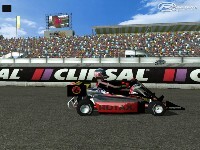 The superkarts are very good looking (some more skinns would be nice), the sound is good and the physics are very good. The "Sense of Immersion" scale on rFactorCentral is to short for this mod, I would like to give it 7 stars !!! There are a couple of things which aren't perfect. I have changed the cockpit eyepoint (in the cockpitinfo.ini file) from (0.000, 0.620, -0.23) to (0.000, 0.620, -0.43). This way the eypoint is a bit closer to the steering wheel. The forcefeedback makes my Logitech steering wheel very nervous. I know forcefeedback is a weak point in a lot of rFactor mods, but this one is a bit of a problem. I will switch off Force Feedback Effects every time when driving this mod. As in the real superkarts, there are no mirrors. So when somebody tries to overtake you, you will see him when it is to late! @Rockett_man, are you shure the person you have spoken did drive a 250cc superkart, and not a 125cc superkart? 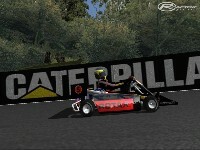 Here's an active ink to the SuperKart v3.1 Mod. BTW, thnx Slim....great mod......and the 3.1 version fixed the bouncing problems with the A and C class Karts just fine. hello have you a template for realised the skin? what's the track in the latest picture?